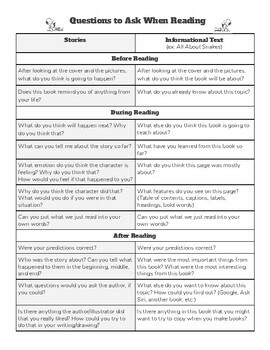 A one-page, easy-reference list of comprehension questions for both literature and informational texts. Questions are categorized into "before," "during" and "after" reading. Perfect for sending home to parents, or for parent volunteers or aides reading with students one-on-one or in small groups.